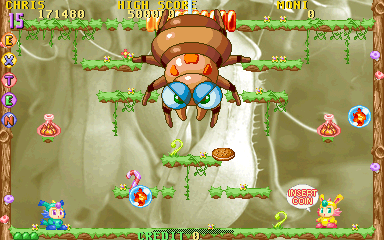 Running (MAME) Super Bubble 2003 (sb2003) romset0.2 and the sound levels is way down. Any way of normalize the levels rather than max cranking the PCs master volume? Thought it was like the some Midway games but no settings in the serveice,- or DIP switch menu to be found. there's no easy way without putting hacks in the code, unfortunately the emulation of the sound chip here simply isn't very good, some games with it will randomly have very loud samples too. better just hope somebody picks it up one day and fixes it as we've just seen with the Taito Zoom DSP stuff.